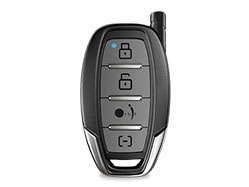 Lebeau offers a wide selection of remote starters and a preseason offer you can't miss! Contact your nearest service centre! The experts at Lebeau® can help you decide on the right remote car starter model for your needs. If your vehicle allows for a wiring harness, our technology makes the remote starter installation safe and faster. This key criterion varies from driver to driver and will therefore strongly influence your choice of remote car starter. The signal range chosen should be based on your lifestyle habits (work, home, etc.) and needs. If you need broad coverage, today’s technology lets you operate your remote car starter from your smartphone. Most of our starters also come with two remotes. You can add more according to your needs and the number of people using the vehicle. All of our prices include installation. You’ll have no unwelcome surprises or additional fees. What you will have is the assurance that your remote starter has been properly installed. Choose among a range of customized options to meet your needs. Start your vehicle from any distance using your smartphone!1 You can also use the app to extend the range of the remote that came with your vehicle. The coverage area is operational in most cities in Quebec. 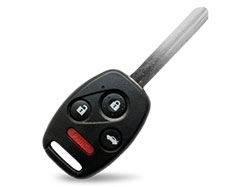 To select the remote car starter that suits you best, think first about how you plan to use it. Your choice should be based on the options and features that will meet your needs. The Orbit® smartphone app works in most cities in Quebec. This means you can use your remote starter just about anywhere, regardless of where your vehicle is located, provided you and the vehicle are in the same service zone. For safety reasons, we do not install remote starters in soft top or convertible vehicles with a manual transmission. An open-top vehicle has a higher risk of moving on its own if one of the gears is inadvertently engaged and a remote starter is used. Our basic remote starters are installed using a wiring harness, which may not be compatible with all vehicles. For models where installation is more complex, we offer one-way and two-way remote starters, which are better adapted to these vehicles. 1 Not compatible with certain vehicles. 2 For as long as you own your vehicle. Certain conditions apply. * Certain conditions apply. Offer available until November 2, 2018 inclusively. Limited quantities. 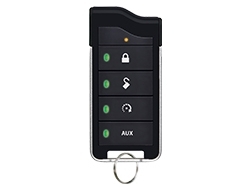 Remote car starters available for automatic and manual transmission vehicles. Standard installation fees included. All Orbit® products provide control over basic vehicle start up. Additional features are extra, with prices varying according to the vehicle type and remote starter model selected. Limited lifetime warranty as long as you own your vehicle. Ask for details at a Lebeau® service centre. Offers may vary among participating service centres.